Broadwater Beach is nestled aside the Broadwater National Park and is littered with coffee rock, colourful sands and rolling dunes. 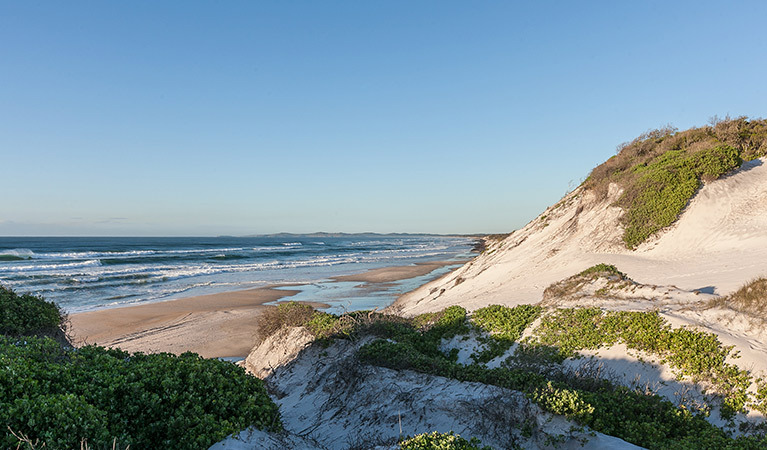 This semi-secluded beach is ideal for whale watching during the winter months, and the surrounding coastal heaths provide excellent bird watching opportunities in spring. For more things to see and do, click here.